Honey sempai is very lovely. And is he Tamaki? I thought that because of this bear. arigatou gozaimasu, very cute scan! Its Haruhi and Tamaki right? ITS IS SO EFFING CUTE! they are young, and holding hand as well of all things! One of my favorite pictures by Hatori. This picture just screams puppy love in all its innocence. 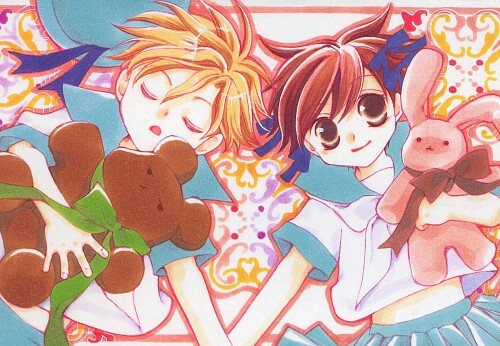 Very adorable Tamaki x Haruhi picture! Aww so cuteee! I really love it!